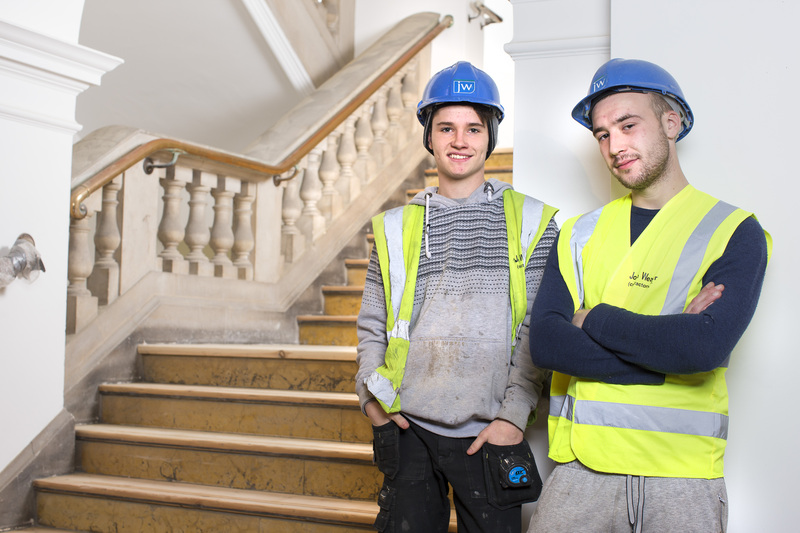 Apprenticeships offered at John Weaver Contractors cater for people with no or few qualifications through to those who are progressing into higher levels of academic study, including degree and masters level apprenticeships. As part of your programme you will be able to work towards a nationally recognised apprenticeship. This is delivered in partnership with one of our specially selected training providers who will support you through your formal study programme. In addition to the formal training, you will receive hands on experience, including mentoring and coaching from skilled members of the team. This will help you develop all the skills and knowledge required to become successful in your role and support your career progression through your chosen pathway. Further support is offered to provide additional assistance, funding and support to our apprentices, young people and new starters through our ‘Ian Hawkins Trust for Young People and Apprentices’ fund which was set up as a legacy from our previous Managing Director to ensure their continued professional development and encouragement to stay and progress within the construction industry. All apprentices that have completed their apprenticeship sponsored by JWC have gained NVQ levels 1, 2 & 3 with the vast majority remaining with the company as tradespersons, some of whom have progressed to management level. Persons who are keen to join the construction industry are advised to visit the Construction Industry Training Board (CITB) website and register an interest in an apprenticeship. They can also visit the ‘Go Construct’ website where there is a vast amount of information about the industry and career paths within it.